While a trip to Europe can be a fairy tale, it can also be a sobering reminder of fascism's reign of terror during the 20th century. Visiting a concentration camp is a way to honor the survivors and remember those lost. Here's what you need to know. Just outside the town of Dachau sits one of Germany's most infamous camps, built in 1933 as one of the country's first Nazi concentration camps. The present-day memorial, themed "Never Again," recounts its grizzly history through a museum, film, reconstructed barracks, and chilling memorial shrines. Unlike many of Europe's camps designed for slave labor, Auschwitz was meant for extermination. At the Auschwitz-Birkenau Memorial and Museum, visitors can watch footage from the camp's liberation in 1945, walk beneath the "Arbeit Macht Frei" (Work Begins Freedom) gate, and enter surviving barracks in the vast Birkenau death camps. A shuttle bus runs between the two camps. From 1938 to 1945, nearly 200,000 people from 40 different nations were imprisoned at Mauthausen concentration camp in Austria; of those, some 90,000 lost their lives. The Mauthausen Memorial serves to honor and remember the victims and also create public awareness of the camp's history. One of the first concentration camps established in the Third Reich, Sachsenhausen quickly became the main camp in the Berlin area. Until its closing in 1945, some 200,000 people from all over Europe were imprisoned there, and of those tens of thousands lost their lives. 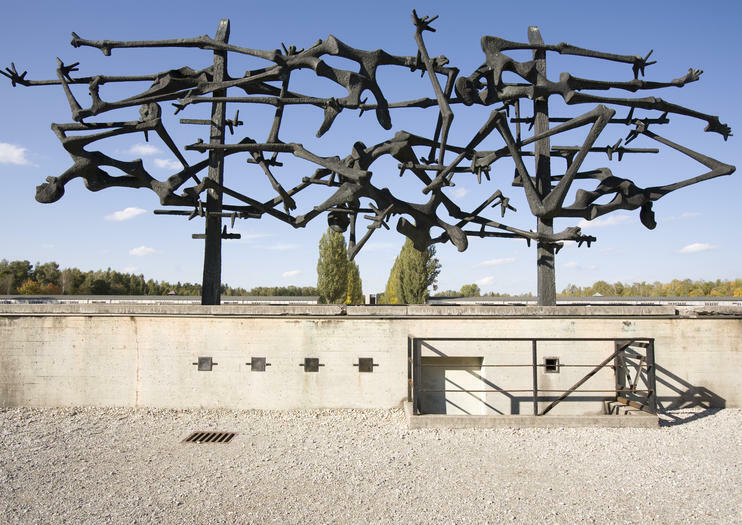 Today, the site is a memorial and museum where visitors can learn the stories of the prisoners and visit the ruins of the gallows, gas chambers, and burial pits with a tour guide. Situated 30 miles (48 kilometers) south of Prague, Terezín was transformed from a holiday resort for Czech nobility into a Jewish ghetto and concentration camp in 1940. More than 150,000 people were sent there, including 15,000 children, to be held until being sent to their deaths in occupied Poland. It was known as the Paradise Camp due to a Nazi propaganda campaign to dupe the world into thinking life inside was just fine, even when it was far from it. The first of two Treblinka camps was opened in 1941 as a labor camp not far from Warsaw. The second, much larger camp opened a mile away in 1942 as an ultra-secret extermination camp part of Operation Reinhard, a Nazi push to exterminate the Jews of German-occupied Poland. Today, a moving monument made from 17,000 stones occupies the site, outlining the shape of the death camp. Experience a poignant piece of World War II history with a day trip to Mauthausen Concentration Camp from Vienna. The former camp provides a look at the horrors perpetuated by Hitler during the war. An audio guide will provide historical background on each site as you go. Transport back to Vienna will be included when your tour finishes. Discover the poignant history of Treblinka, home to a former Nazi concentration camp and penal labor facility, on a 7-hour tour from Warsaw. Far less crowded than the Auschwitz-Birkenau Memorial and Museum, Treblinka features a museum, commemorative monuments, and peaceful natural landscapes. This small-group tour is limited to eight people to ensure an intimate atmosphere. Lunch, entrance fees, and hotel pickup and drop-off are included. Discover Austria’s dark history with a moving tour of the Mauthausen Memorial from Vienna. Learn the harrowing story of one of Europe’s largest Nazi concentration camps as you browse the exhibitions in the recently re-opened Mauthausen Museum. Then, follow your audio guide on an emotional tour around the memorial site, passing the SS-Quarters, the Camp Prison, the Gas Chamber and the Stairs of Death. This private tour includes hotel pick-up and round-trip transport from Vienna. Step into a tragic time in Czech history with a 6-hour, guided tour of the Terezín Memorial from Prague, and explore the legacy of Nazi occupation in a former concentration camp. Learn the history of the area through personal memories and experiences, and get a glimpse of life inside the Terezín ghetto at a remarkable museum. Remember the victims of Nazi persecution, visit the memorials to their lives and hear inspiring stories of local resistance, courage and self-sacrifice. Head to Terezin on this informative 7.5-hour tour that takes you to a former World War II concentration camp, situated in an 18th-century fortress north of Prague. The tour includes round-trip ticket on public transportation to Terezin and back to Prague. Visit the Czech town of Terezin on this informative 5-hour tour from Prague. Stroll around the Habsburg-era fortress which became a concentration camp in World War II, explore the Ghetto Museum and the Magdeburg Barracks. And then relax on the journey back in a comfortable Mercedes.